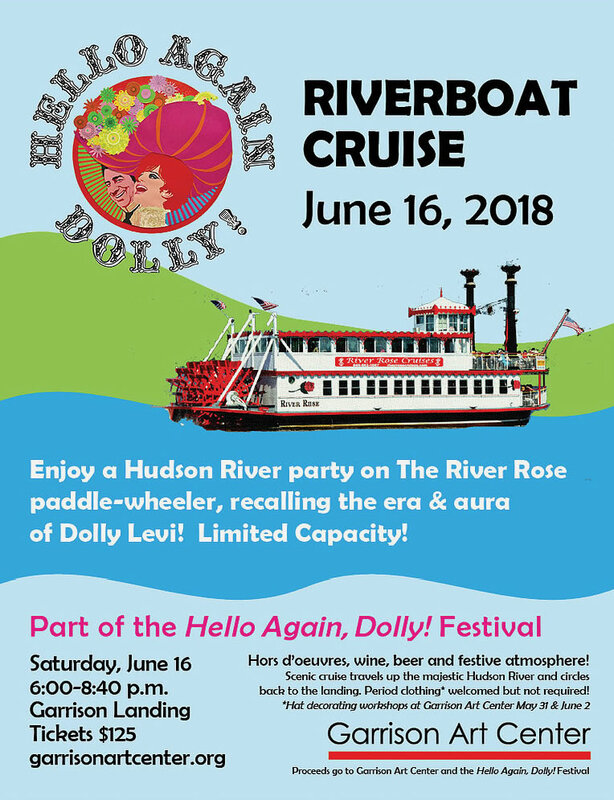 Scenic Evening Riverboat Cruise – Hello Again, Dolly! The weather is looking wonderful for this Saturday’s Hello Again, Dolly Riverboat Cruise! 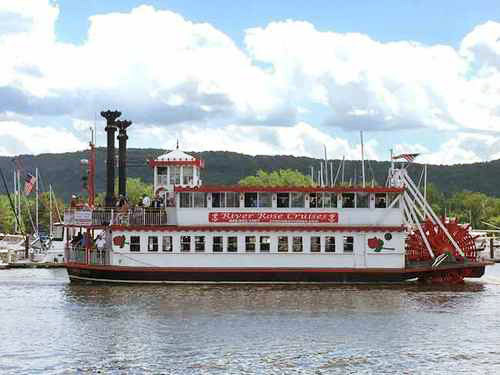 TICKETS MUST BE PURCHASED BY Tuesday June 12, to guarantee a spot on this historic paddle-wheeler cruise up the Hudson and back down as the sun sets. Starting Tuesday afternoon, ticket sales will be greatly limited as we need to solidify numbers for caterer and crew. Special parking, check-in and boarding instructions will be sent to Ticket Holders on Thursday. Do plan to arrive in plenty of time to park and walk if need be down to the landing. Arrival by train is most convenient. Arrive early for the 4 pm “Put On Your Sunday Clothes” costume Parade led by Tommy Tune followed by ice-cream social and Q & A with Mr. Tune on Garrison Landing​. Purchase a Victorian Hat decorated by one of our artist members. 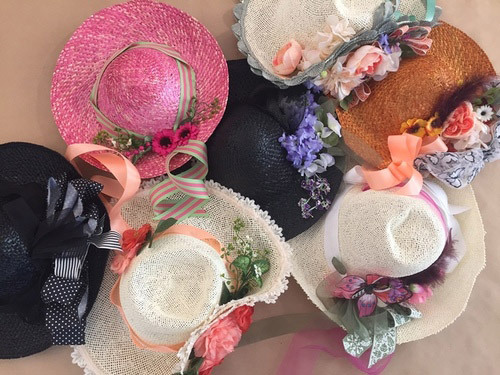 For those who didn’t get to attend the Victorian Hat Decorating Workshops, but would like to wear a hat for the cruise or to save as a momento, hats will be sold on the Art Center Patio starting 1:00 PM. $15, $25 Cash or Credit. A sampling of the hats that will be for sale on Saturday before the parade and cruise. Following the parade and Q&A with Tommy Tune, come join the Garrison Art Center on a romantic two hour evening cruise along the majestic Hudson River. Sail on the RiverRose paddlewheel boat, and experience life along the river in the 19th Century. An expert guide will talk about the history and lore of the river. Wine, beer, and Hors d’oeuvres and festive atmosphere are part of this enjoyable experience. Period clothing is welcomed, but not required! (See Victorian hat making sessions at Garrison Art Center on May 31 and June 2.) 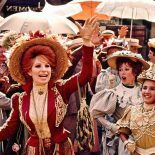 You’ll be back in time for the 8:30pm outdoor screening of Hello, Dolly! in Garrison Landing park. A portion of the cruise proceeds will help support the Hello Again, Dolly! festival.